My boys don't play with dolls any more sadly, generally they prefer more wheeled or construction toys - cars and LEGO. I am however still a big fan of Lottie Dolls - dolls that look like children, with the healthy body shape of your average 9 year old. There are loads of different dolls and doll sets, as well as outfits and accessories. Because Lottie Dolls are like 9 year old children, they do things that 9 year old children like doing. 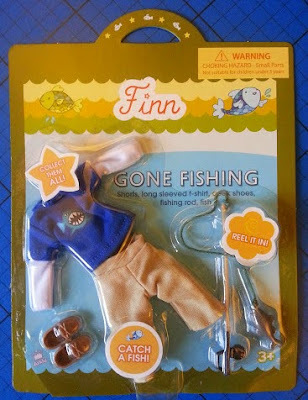 A couple of years ago we reviewed a boy doll from the range, Finn the Kite-Flyer and the 'Gone Fishing' accessory pack. Some Lottie Dolls are doing everyday things, like jumping in puddles or going to school or Brownies. Some dolls are dressing up for special occasions or hobbies, and some are dressing up for imaginative or role play. 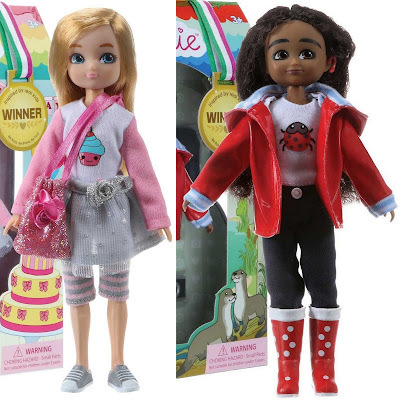 Your average 9 year old boys and girls are the same size and shape, so all of the outfits and accessories fit any Lottie Doll, male or female. 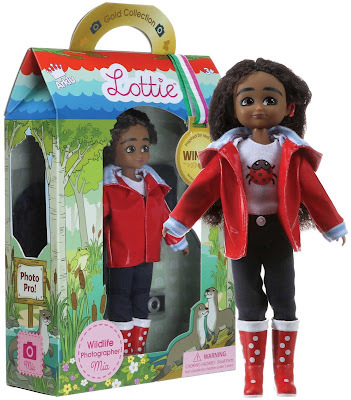 Lottie Dolls release new outfits and dolls regularly, with many inspired by drawings done by children themselves. 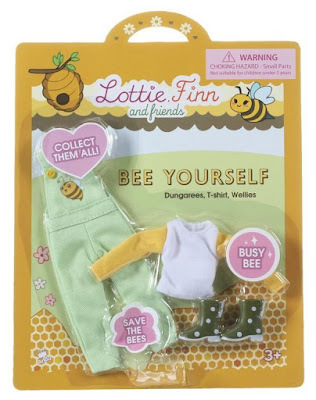 You can find out more about how to design your own outfits for Lottie, Finn and the others on the Lottie Dolls website. The latest additions to the range include Mia the Wildlife Photographer, Birthday Girl Sophia and the Bee Yourself Outfit Set. Lottie Dolls have kindly offered one of my readers this pretty awesome bundle as a prize. One winner will get both dolls and the accessory pack from their new product collection. Birthday Girl Sophia (rrp £18.99) is wearing a pretty birthday party outfit in in sparkly silver and has 3 mini cards - invitation, birthday and thank you. It's a very realistic and achievable birthday party outfit for a small child - and it's also pretty and cute. Wildlife Photographer Mia (rrp £21.99) has a lovely everyday outfit including a denim hat and bag, plus a camera and an edition of her school newspaper. She also wears a cochlear implant, which is part of who she is, not a focal point (this is reflected in the Lottie chapter books). Mia is a collaboration with 'Toy Like Me', a UK non-profit organisation who campaign for diversity in the toy-box - so that children can see themselves reflected in the toys they play with. You can find out all about Lottie Dolls and check out the entire range on the Lottie Dolls website. Entry to this fabulous bundle giveaway (which is worth almost £50) is by Rafflecopter form below. Open to UK entrants only, the giveaway will end at midnight Sunday 20th August. Full terms and conditions are on the Rafflecopter form. Lottie Dolls have asked for entrants to sign up to the Club Lottie mailing list, so that is the first and only mandatory entry. You can unsubscribe from the mailing list at any time (after the giveaway ends, obviously) and your details won't be passed on to any 3rd party. For help with Rafflecopter and to see my other giveaways, please visit my Giveaways Page. I didn't get anything in return for this post. I just like Lottie Dolls. 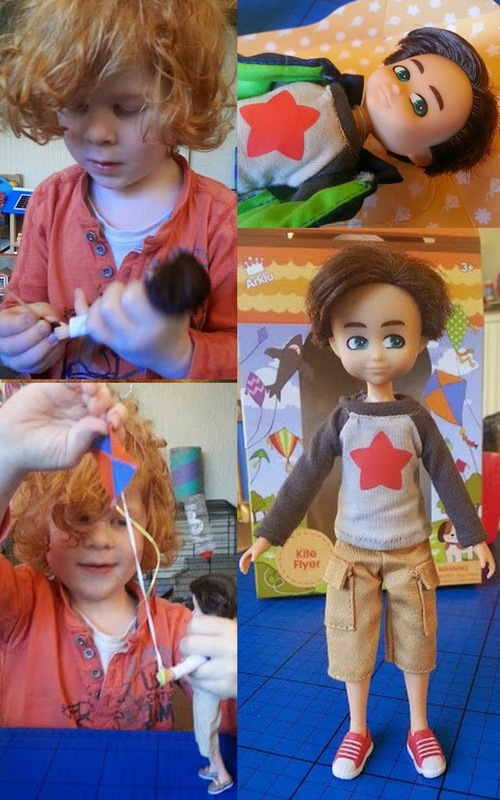 A Lottie doll wearing a mechanics outfit! Definitely a school uniform as my little girl starts school in September and would be a great outfit for lottie. I would dress her in a cute T-shirt and some yoga pants as she would be a little gym bunny. I would do a birthday party outfit, fun and funky! I'd like to see astronaut Lottie. I would dress her up with something to do with the circus, maybe a trapeze person, or ring master. But in a beautiful sequined outfit. it would be a skydiving outfit! My daughter has a weekly Forest School, so that would be a fun outfit that would fit the Lottie ideals. She would wear a long sleeved shirt, trousers, boots, a hat (sun hat or winter), gloves, and some type of waterproof jacket or coat. I would add waterproof trousers or an all in one, but I think it might be too fiddly. Ideally, the clothes would be brown and green, possibly with a leaf or flower decoration. She could have a backpack, pen knife (maybe), rope, and magnifying glass as accessories. And information cards could contain outdoor skills. Lottie dolls babysitting baby Lottie's! I would design a marine biologist doll complete with a divers outfit. A paralympic Lottie with wheelchair. An adventurous lottie, complete with kit for battle and perhaps a bit of dinosaur gore!! that's my daughter for you!!! Gardening Lottie - she looks great in wellies, with tools to tend her veg and flowers. I would love a cat dress up outfit as Eva loves hers. My daughter would love there to be a microbiologist doll or a pilot doll! My daughter loves Lottie dolls and often enters their outfit design competitions, she recently designed a Ghost Hunting outfit for Lottie which I thought was pretty cool and imaginative! A doctor doll with a stethoscope & a doctors coat or scrubs. I would choose a fairytale style lottie doll like rapunzel! Business Lady Lottie! Pencil skirt blazer and handbag! I would design a Scottish Lottie, my little one would have her doing some highland dancing. I'd dress her up as a scuba diver and she could have a wet suit and snorkel and maybe a surf board or kite board as well. Lottie the optometrist, with equipment such as eye chart, range of fashionable frames for spectacles. Could be dressed in classic suit, practical comfortable shoes ( after all she works in a profession which promotes good health care,etc). She could have a white cotton jacket as an alternative to her suit jacket ( more comfortable on warm / hot days, and gives the outward appearance of a professional who works in health care). I would have to make a princess!! dressed like a prime minister i reckon. I would make a 'Mad Scientist' lottie doll. I'd like my daughter to have a Lottie Doll of a female scientist... Then it can be just like her Daddy! I would design a doctor outfit. A diver / scuba outfit! We love water in this house! It would be super to see a cowgirl Lottie. 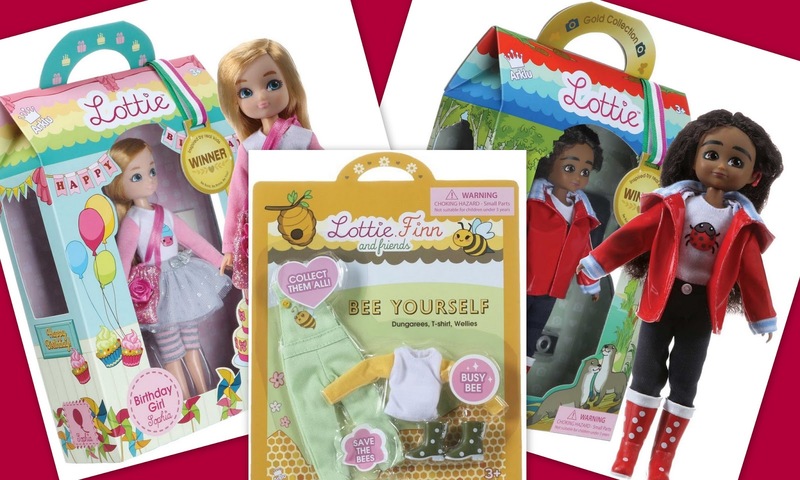 I love Lottie Dolls, they are really excellent role model and inspirational dolls for children. I would make a Vet Lottie Doll as my daughter wants to be a Vet! A doctor outfit, unisex for boys and girls. I would make a private eye doll. I would pick a soldier's outfit I think its important to show children that they can be what ever they want to be. New Romantics so they the 1980s were cool. 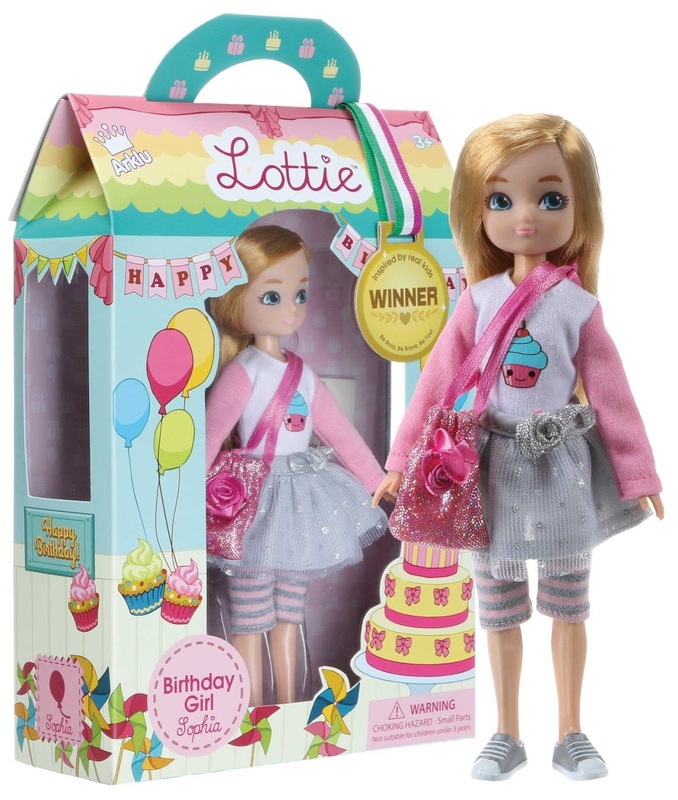 I'd design a birthday Lottie doll as it is my daughters birthday this week and she would love this prize. I think a Football Kit - my Lil's loves dolls but hates pink. She would love one dressed up in a football kit! A Wonder Woman outfit would be great. All I hear in my house at the moment from my 9 year old is unicorn this and unicorn that. The teacher from last school year even gave her a mock award for being the only child that managed to sneak a unicorn onto school grounds (stuffed unicorn she got for her birthday) so it would definitley be something unicorn related. I think a nurse/doctor etc (although can't remember if there is one). Especially a good idea for children who need to go to the doctors or, heaven forbid, into hospital. Decorator wearing paint splattered overalls and carrying a paint pot and roller. Wildlife Sanctuary Lottie - helping protect and look after injured woodland animals such as hedgehogs, hares, etc. A school uniform, like my children! A mountain climber! Complete with big hiking boots and windbreaking jacket. I think a Cow girl would be great! I just asked my Granddaughter Olivia and she said "A vets uniform cause she is going to be a vet when I'm older"
I think a lottie with an amputee would be lovely! My nieces friend from nursery is a amputee and my niece broke one of her dolls arms off so her friend didn't feel upset! They have so many, I think scientist Lottie but they probably already have one!! !